The ROCK HIGHWAY is a all analog Multi-Effect pedal. 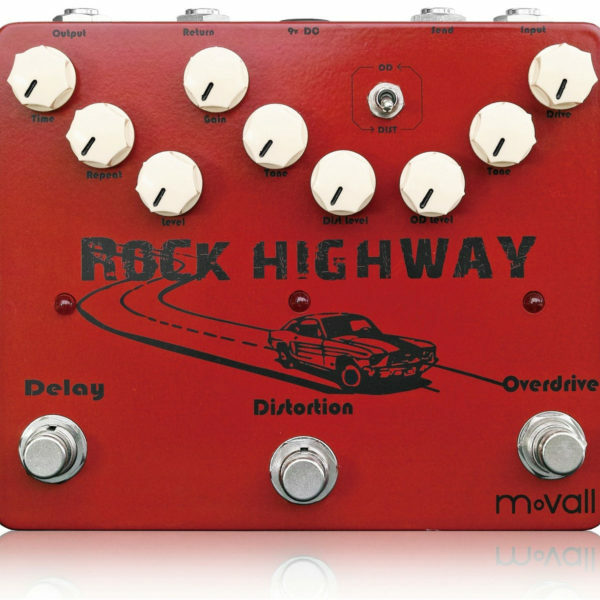 It combines an OVERDRIVE, DISTORTION and a DELAY in a single unit. Each one can be switched independently, using a true bypass circuit. 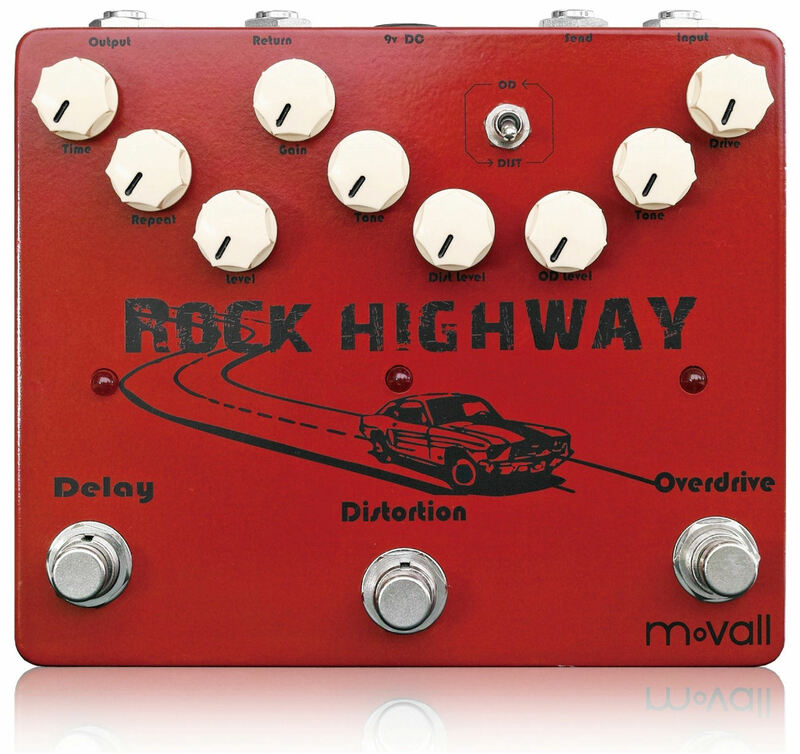 You can select the sequence of the drives and either send the overdrive into the distortion or vice versa. An FX Loop allows you to insert further effects. By using the drives independently or stacking them you have a huge array of sounds available. It can cover almost any style and and be great for rhythm or lead playing. 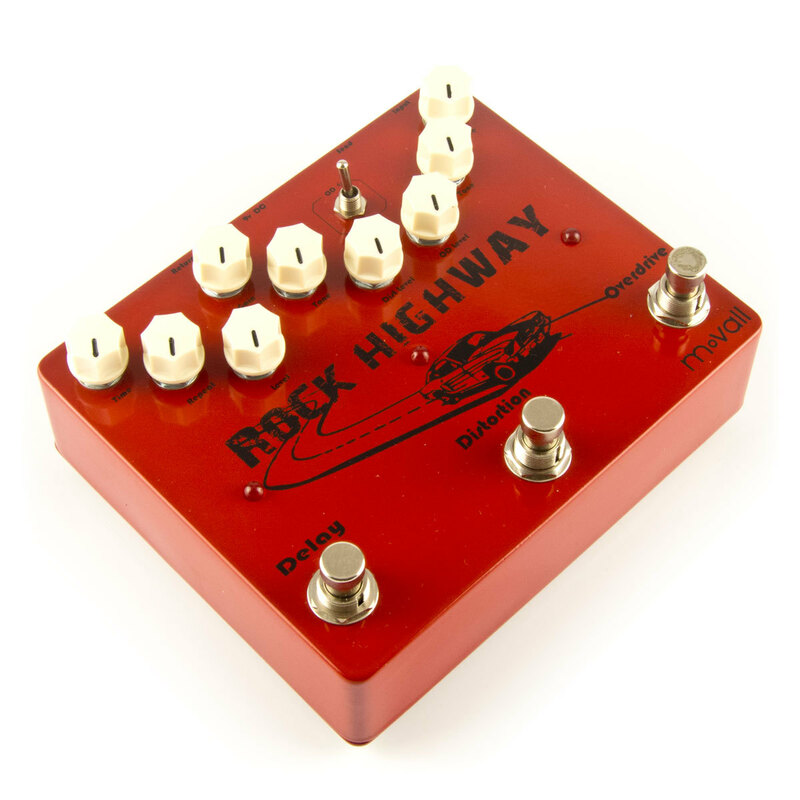 he ROCK HIGHWAY is a all analog Multi-Effect pedal. 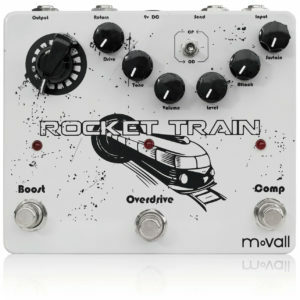 It combines an OVERDRIVE, DISTORTION and a DELAY in a single unit. Each one can be switched independently, using a true bypass circuit. 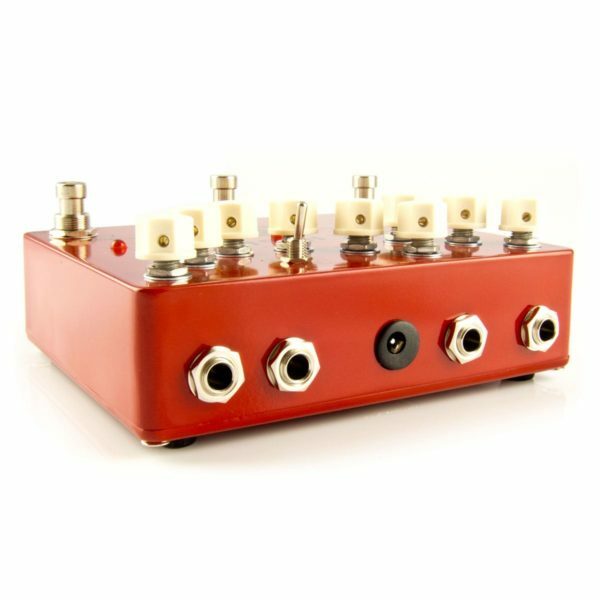 You can select the sequence of the drives and either send the overdrive into the distortion or vice versa. An FX Loop allows you to insert further effects. By using the drives independently or stacking them you have a huge array of sounds available. It can cover almost any style and and be great for rhythm or lead playing where the delay helps your notes to blend and sing! 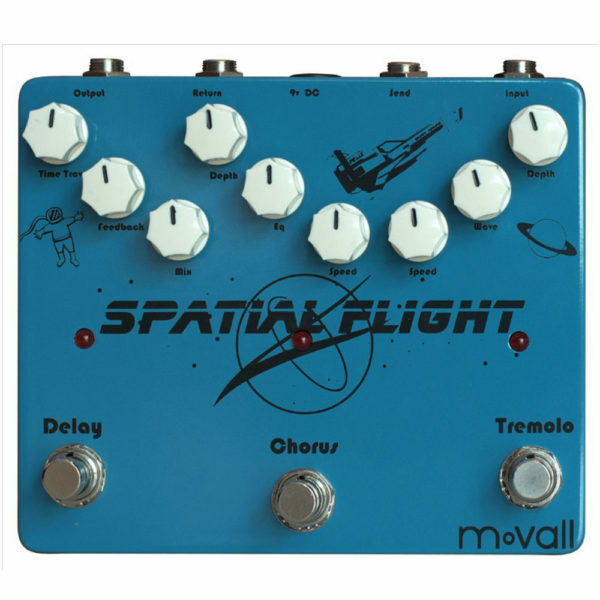 Great multi-function effect pedal at a great price. Excellent build quality and tonal response.